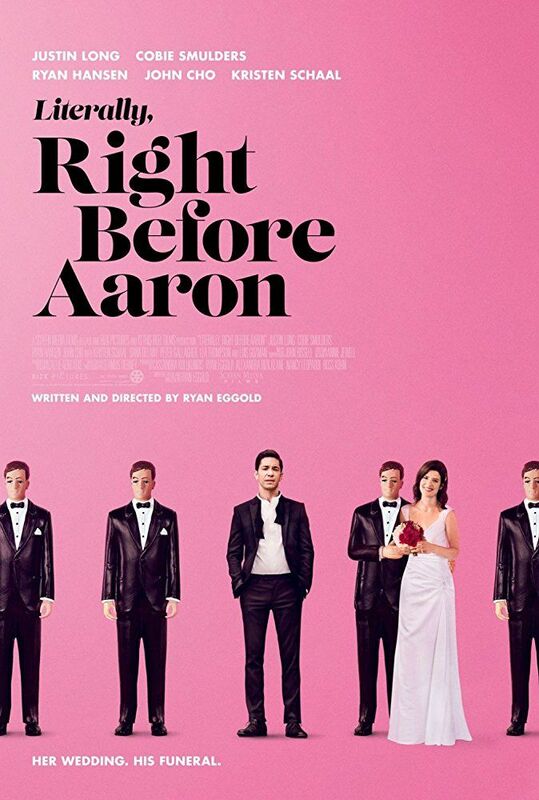 Literally, Right Before Aaron is a 2017 American comedy film written and directed by Ryan Eggold. The film stars Justin Long, Cobie Smulders, Ryan Hansen, John Cho, Kristen Schaal, Dana Delany, Peter Gallagher, Lea Thompson and Luis Guzmán. Read more on Wikipedia.